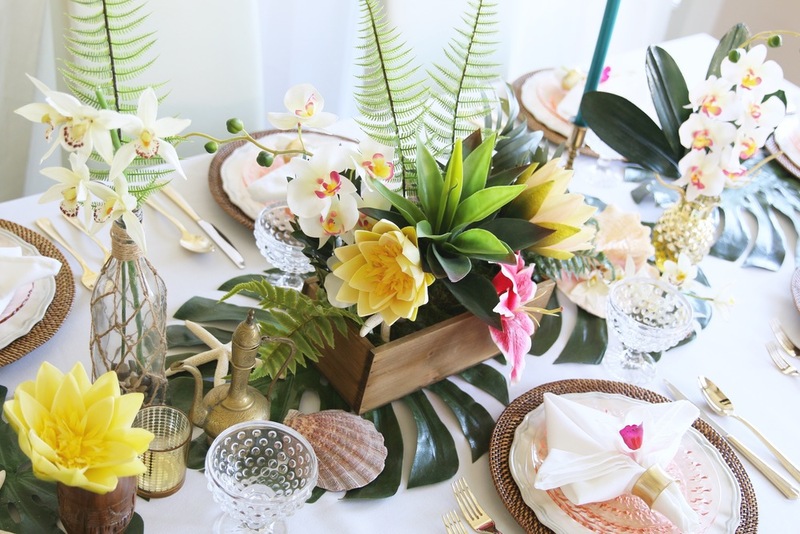 We offer expertly curated rental collections for events. 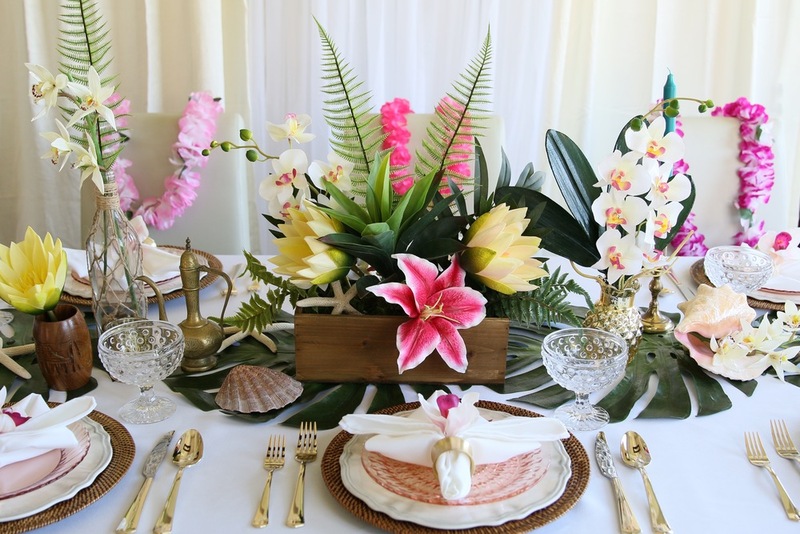 inQUIRE to receive our pricing and all rental options available for this collection. Every collection comes with a step-by-step, photographed installation manual, so you can DIY, or our team can do it for you. Either way, you get to focus on what matters - JOY! 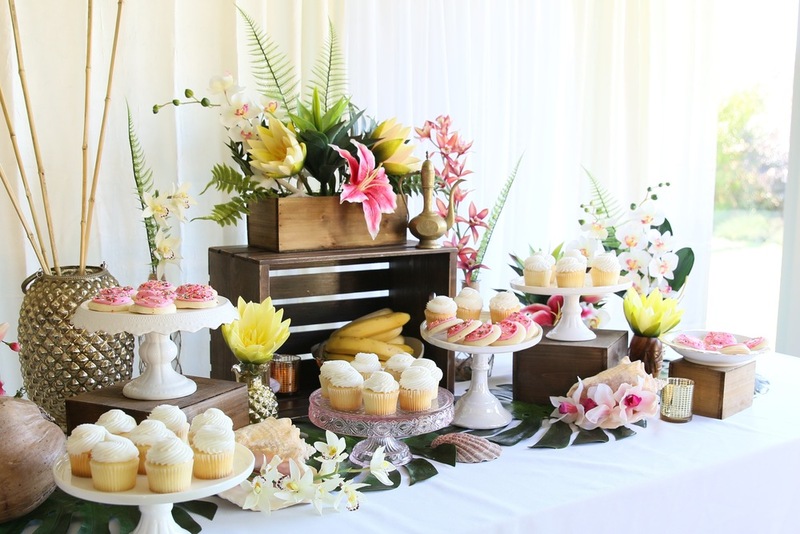 A beautiful dessert station including white cake platters, wooden boxes, tropical flowers, sea shells, and gold accents. 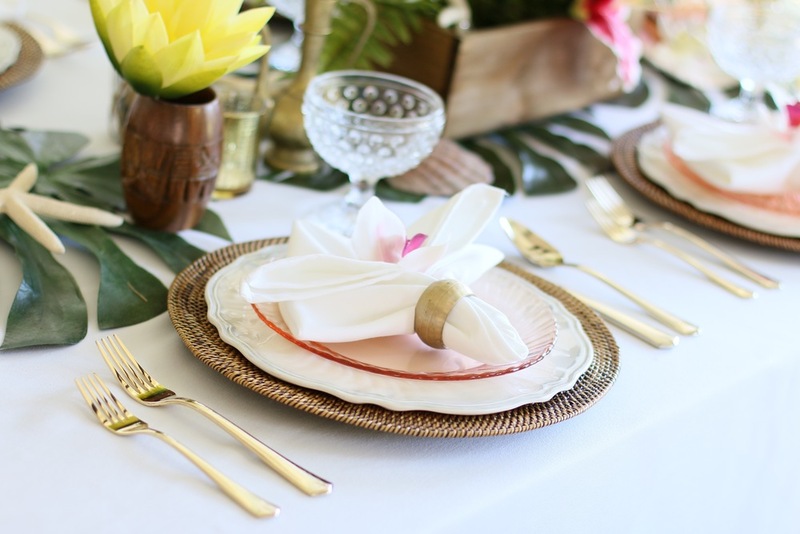 White tablecloths with palm leaf table runners and white linen napkins. 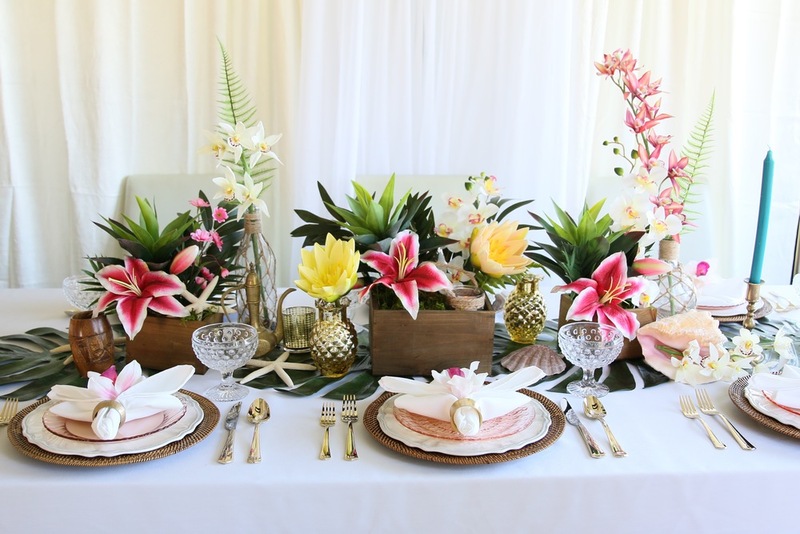 Faux tropical flower arrangements in wooden boxes, glass bottles with faux flowers, golden accents and candlesticks, wooden vessels, seashells, and golden pineapple vases. 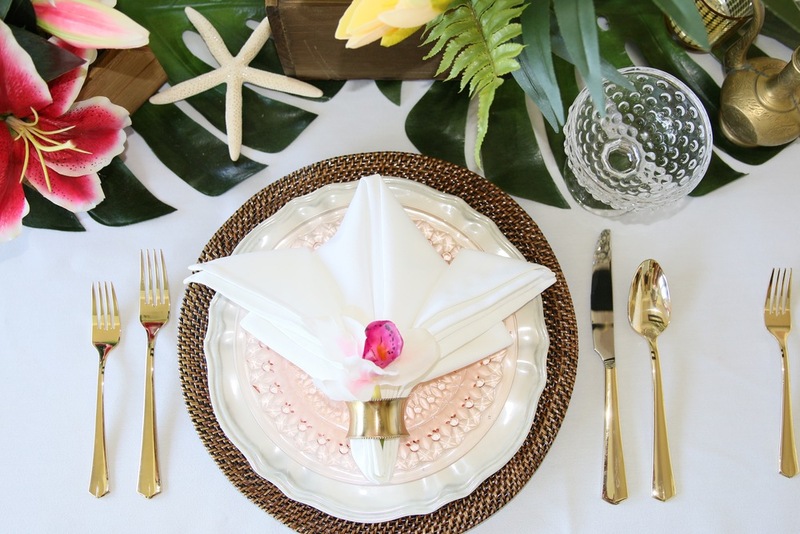 Place settings including wicker chargers, white melamine scalloped plates, vintage pink depression glass salad/dessert plates, gold flatware, assorted textured glass goblets, white linen napkins, and assorted gold napkin rings. 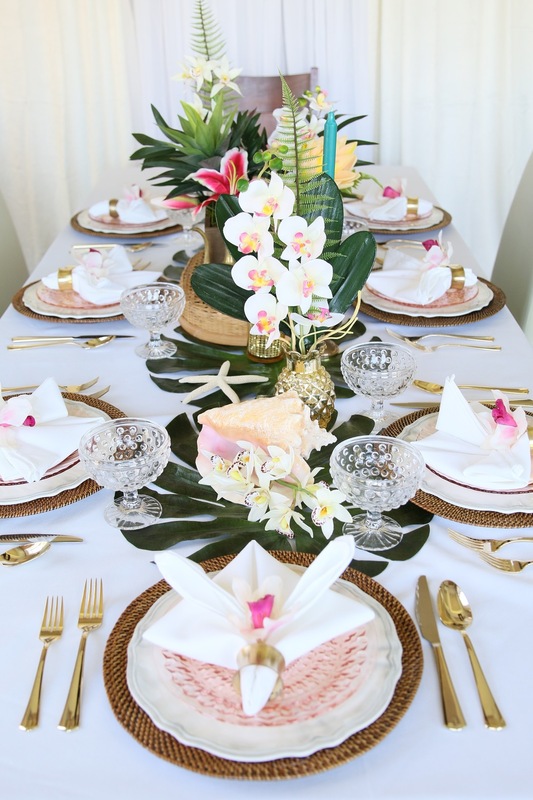 Assorted tropical decor including conch shells, seashells, palm leaves, coconuts, pineapple vases, wooden boxes, golden accents and votives, and a grass table skirt upon request. 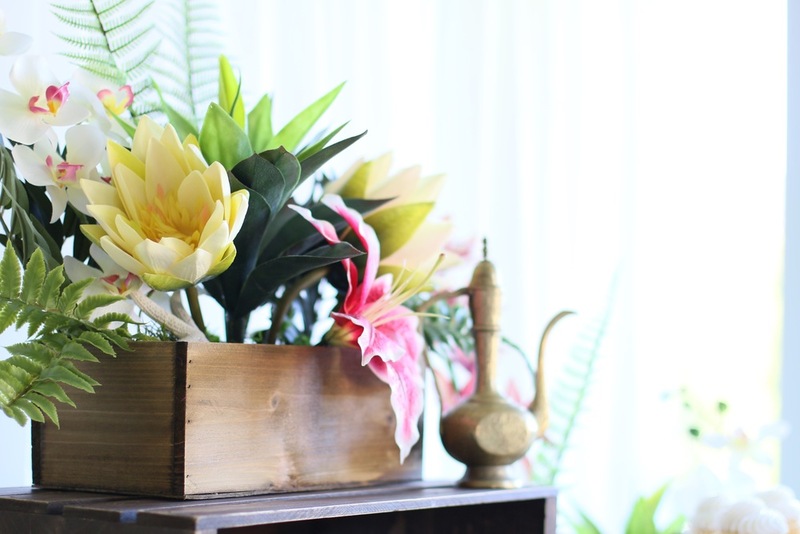 Tropical flower arrangements in wooden boxes of various sizes, and an assortment of glass, wooden and golden vases with arranged tropical flowers. 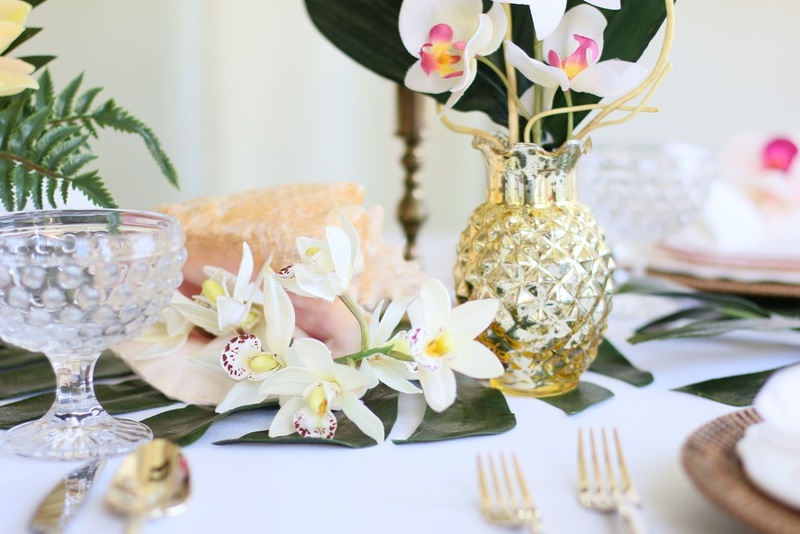 Here are some of our optional services you may want to consider to lighten your hostess duties. 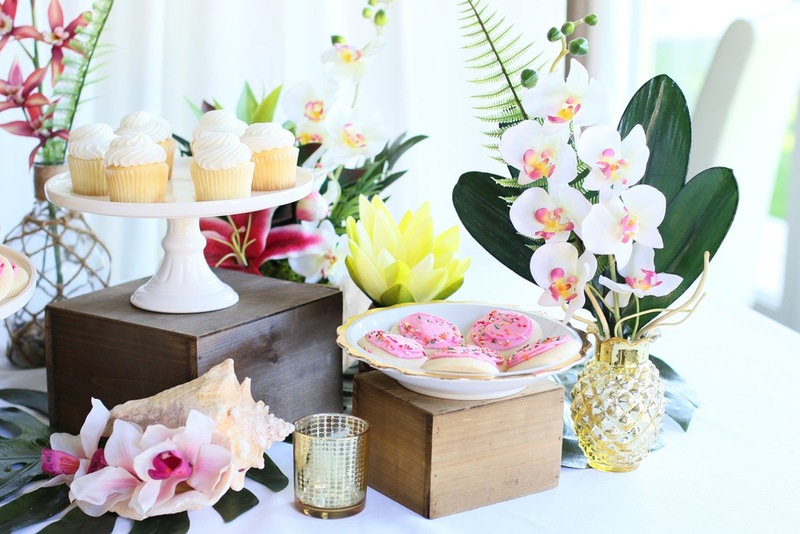 We offer event setup and picture-perfect designer installation, so you can focus on your other hostess duties! 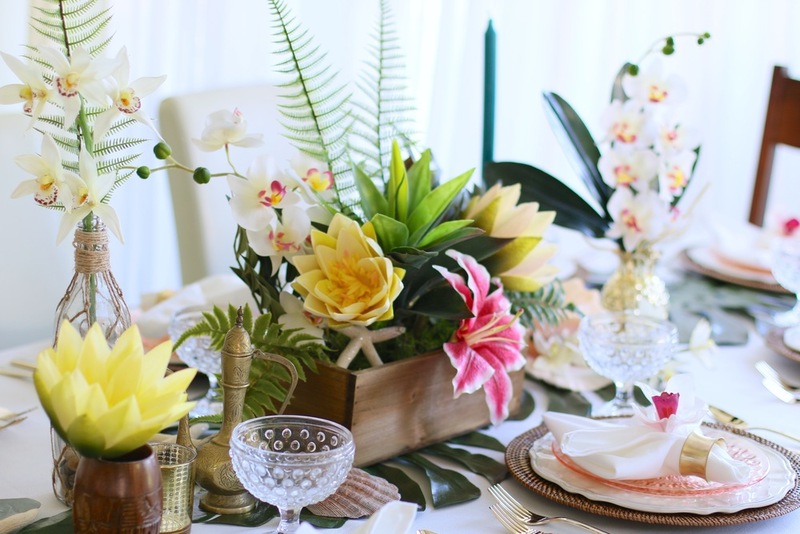 Event setup will be executed by our trusted design team. We'll have a crew sent your way to help wrap up the party and pack up our items! Don't want to pick-up and drop-off the items yourself? No problem. 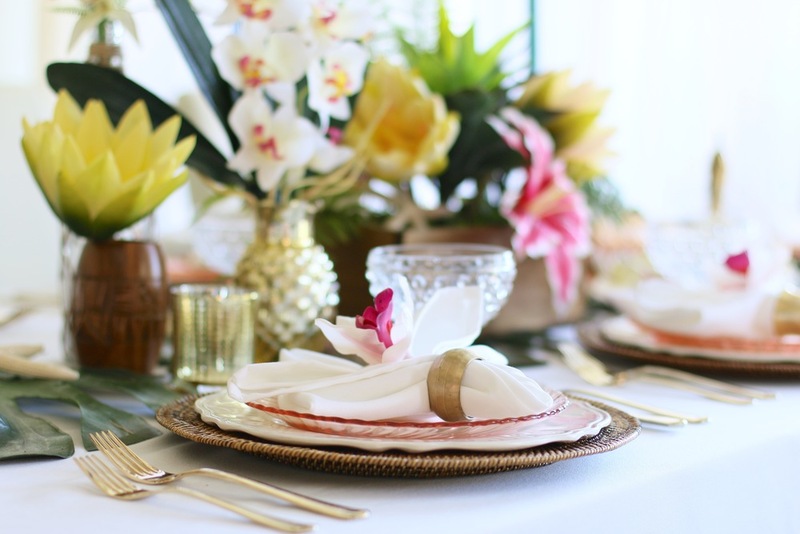 We can have the collections delivered to most zip codes within Los Angeles county!